The Stevie® Awards, organizers of the world’s premier business awards programs, haveannounced that ValueSelling Associates Inc., the creator of the ValueSelling Framework, has signed to be a sponsor of its Stevie Awards for Sales & Customer Service program for the ninth consecutive year. ValueSelling Associates offers its customers a conversational, question-based sales methodology that is simple, logical and scalable, empowering sales organizations around the globe with a proven formula to qualify prospects, accurately forecast and close more deals. ValueSelling Associates is the creator of the ValueSelling Framework®, a proven formula for accelerating sales results. Its customized training on the ValueSelling Framework methodology, reinforcement tools and consulting services, make complex B2B sales simple so sales organizations around the globe adopt it immediately and consistently. Since 1991, thousands of sales and customer-facing professionals use the ValueSelling Framework to grow revenue, increase productivity and improve win rates. Visit http://www.valueselling.com. 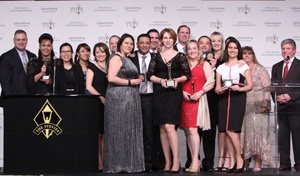 The Delta Air Lines Customer Engagement and Sales Support Center won a Gold Stevie® Award in the Customer Service Awards categories in the 2014 Asia-Pacific Stevie® Awards. Delta Air Lines also received a Grand Stevie® for having one of the five highest-scoring entries in the competition. The 2015 Asia-Pacific Stevie Awards is now accepting entries. There are even more customer service awards categories featured in the 2015 Stevie Awards for Sales & Customer Service. The deadline for entries is November 19. GET THAT ENTRY KIT HERE. We talked with David Clayton, Customer Engagement Center Director – Asia Pacific, in Singapore for Delta Air Lines. He told us what winning the Stevie Award meant to his team. David is also aware of the added-value of the extensive social media network utilized by the Stevie® Awards. 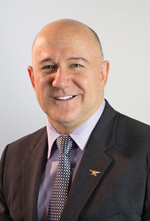 “The English-language Stevie® Awards Update newsletter, which I understand is distributed worldwide to some 25,000 subscribers, combined with a further 17,000 views on the Stevie’s social media outlets, provides us with a great opportunity to deliver updates on Delta’s leadership position in customer experience,” David said. A unit of Delta’s Global Sales Division, the Asia Pacific Customer Engagement and Sales Support Center, is a multinational team that provides support via phone, email, delta.com, and Twitter. The team supports both direct and commercial Delta customers throughout the Asia-Pacific region using various mediums in Mandarin, Cantonese, Thai, Japanese, Korean, and English. Since July 2012, Delta has focused on improving the customer experience in Asia, employing a variety of strategies to drive satisfaction and establish a reputation of differentiated service. By building on its divisional brand–“Listen. Care. Connect”–Delta has refreshed its incentives program, tying in behaviors that promote customer satisfaction. The Asia Sales Support Center (SSC) serves as a Business-to-Business customer service center handling phone and email requests from travel agents and corporate travel managers representing Delta’s high-value agency and corporate accounts in China, Singapore, Thailand, Hong Kong, and Taiwan. Delta has expanded its workforce in the Asia-Pacific region, and ramped up training for its customer engagement specialists. The company partnered with the Singapore Workforce Development Agency to develop an in-house training program which results in employees obtaining their Workforce Skills Qualification (WSQ) Certificate in Tour and Travel Services upon completion. The company’s accomplishments were recognized by the agency when, in 2012 and again in 2013, Delta was awarded the WSQ Training Excellence Award for the Tour and Travel Category. The company’s quality assurance data from 2012 to 2013 shows average favorable scores have significantly increased. Additionally, the Asia Pacific SSC has developed a great partnership with the company’s business-to-business partners. In spite of call volume for the Engagement Center trending upward between July 2012 and November 2013, overall Average Speed of Answer improved year over year—meaning customers get through and receive the service they need much faster. David Clayton is Delta's Customer Engagement Director for Asia Pacific and is based in Singapore. In this role, he is responsible for approximately 550 employees who support the entire Asia Pacific region in over six different languages, and fulfill backend requests supporting customers across the globe. David’s team works closely with Vivien Khong, the Performance Manager of the Sales Support Center within the Singapore office, to ensure that Delta delivers the highest level of customer service across the Asia Pacific region. A 28 year airline veteran, David began his career as a flight attendant and has held roles of increasing responsibilities during his tenure. He also serves his community as a member of the board for the Singapore Workforce Development Agency (WDA) Tour and Travel Industry Skills and Training Council (ISTC). Under his leadership, the Singapore-based operation has not only increased in size and scope, but successfully partnered with the WDA to support and deliver a developmental program, both for the benefit of employees and customers, and as a means of giving back to the communities they support. Delta Air Lines serves nearly 165 million customers each year. This year, Delta was named the 2014 Airline of the Year by Air Transport World magazine and was named to FORTUNE magazine’s 50 Most Admired Companies, in addition to being named the most admired airline for the third time in four years. With an industry-leading global network, Delta and the Delta Connection carriers offer service to 318 destinations in 57 countries on six continents. Headquartered in Atlanta, Delta employs nearly 80,000 employees worldwide and operates a mainline fleet of more than 700 aircraft. The airline is a founding member of the SkyTeam global alliance and participates in the industry’s leading trans-Atlantic joint venture with Air France-KLM and Alitalia as well as a newly formed joint venture with Virgin Atlantic. Including its worldwide alliance partners, Delta offers customers more than 15,000 daily flights, with key hubs and markets including Amsterdam, Atlanta, Boston, Detroit, Los Angeles, Minneapolis-St. Paul, New York-JFK, New York-LaGuardia, Paris-Charles de Gaulle, Salt Lake City, Seattle and Tokyo-Narita. Delta has invested billions of dollars in airport facilities, global products, services, and technology to enhance the customer experience in the air and on the ground. Additional information is available on delta.com, Twitter @Delta, Google.com/+Delta, Facebook.com/delta and Delta’s blog takingoff.delta.com. Read inspiring successful business stories. 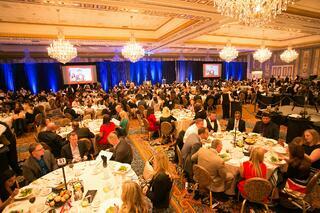 Learn how other companies and individuals are achieving success and confronting challenges. Review past winners' entries to help you make the most out of your submissions. The full-text of business award winning entries are great models for how you should write your entries. The Stevie Awards for Sales & Customer Service feature more than 125 sales awards, customer service awards, and call center awards categories honoring sales excellence and best customer service practices for individuals, teams, and departments, plus categories for products and service and solution providers. Get an inside look of successful companies and individuals from across the world. All individuals and organizations worldwide are eligible to submit nominations – public and private, for-profit and non-profit, large and small. Find out how these award winning companies are achieving success. The 2013 Stevie Awards winners were announced at our annual awards gala at the Paris Hotel in Las Vegas, NV, on Monday February 25. Learn about the event and read all Gold winning entries here. Leave us a comment and let us know what you think about the entries submitted in 2013. 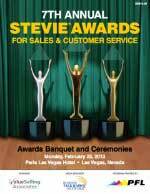 The Stevie® Awards are pleased to announce that the PDF of the official program of the 2013 (7th annual) Stevie® Awards for Sales & Customer Service is now available, at http://www.stevieawards.com/uploads/file/SASCS13Program.pdf. Recognized as the world's top business awards for contact center, customer service, business development, and sales professionals, the Stevie Awards for Sales & Customer Service awards gala will be celebrated on Monday, February 25 at the Paris Hotel in Las Vegas, Nevada. Tickets for the event are now on sale. The program will be distributed to the 350+ attendees of the February 25 awards banquet in Las Vegas, and to another 10,000 people around the world over the next year as a download from the awards' web site. Can't make the awards gala? Download the full program here and listen to a broadcast recording of the February 25 awards presentations at 8:00 pm ET on Wednesday, February 27 on the Business TalkRadio Network. You can listen to a live stream of the broadcast on their web site, from anywhere in the world.